After so many apartments in Belville area, it seems there is a competition threatening to overtake the leading role of Belville apartments. 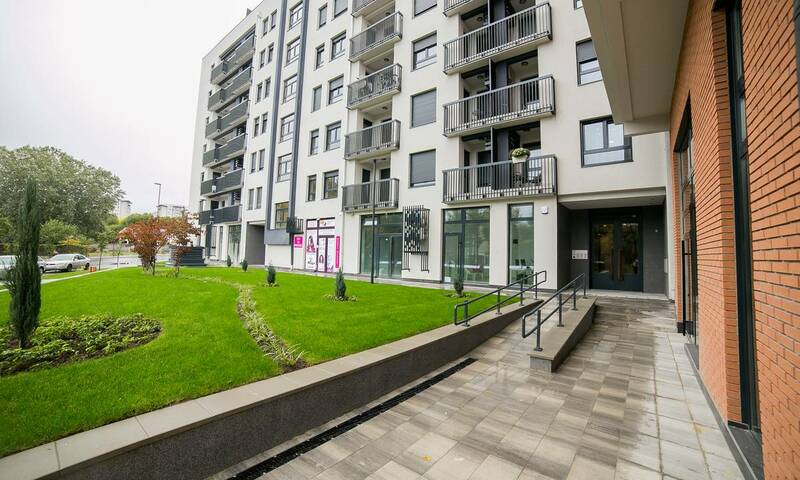 The new complex of buildings named Savada is the place where apartment Bonsai is located. 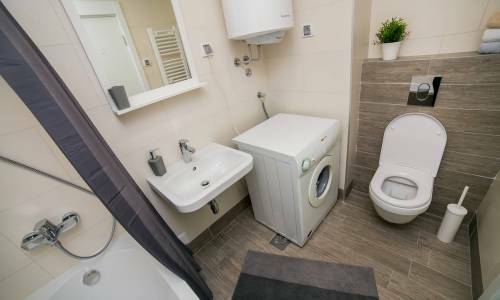 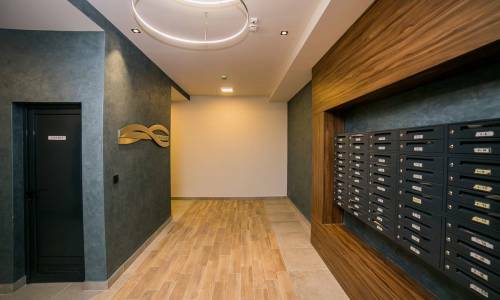 This is the highest-quality construction and a brand new building, with the exceptional spatial planning and design solutions including the brand new apartments – these are all the qualities of Savada residential area and Bonsai apartment. 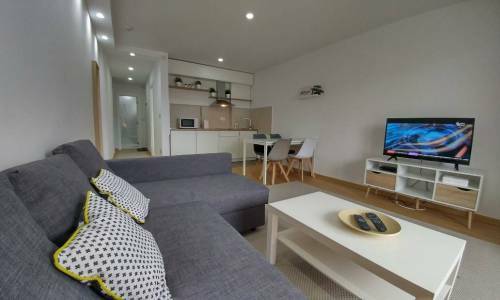 With the size of 45m2, Bonsai offers a living room, bedroom, kitchen, bathroom, terrace and a garage placed inside the building. 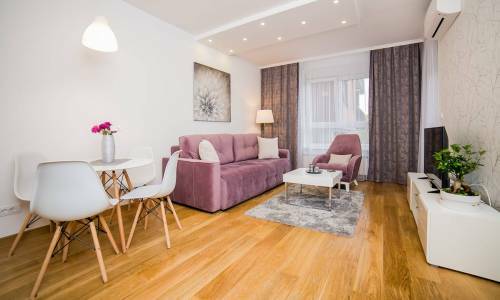 The interior is very modern and the furniture was hand-picked while taking close attention on all the details and rich offer of amenities. 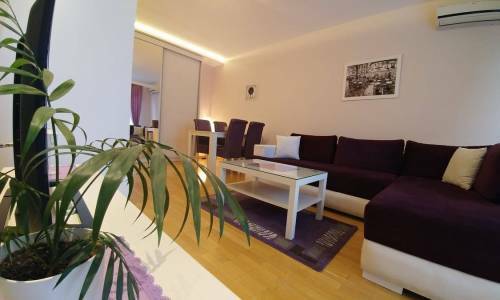 The outcome will make sure that our guests are satisfied and enjoy the overall atmosphere. 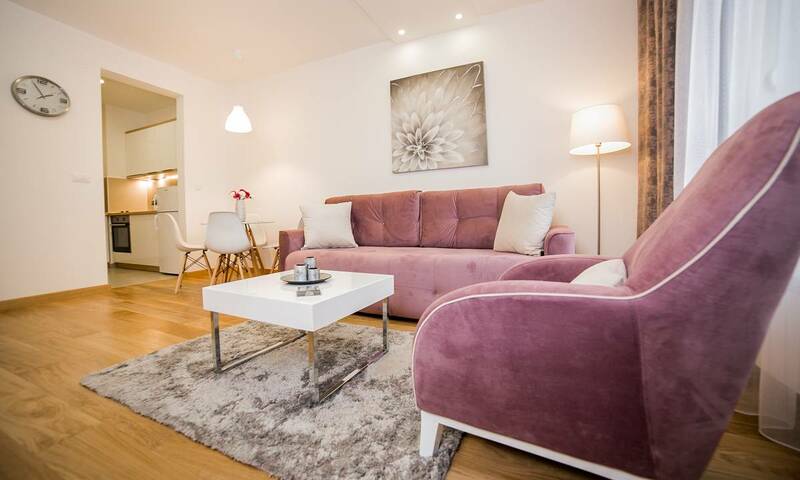 Bonsai is intended for 4 persons and in addition to a large double bed in the bedroom, the three-seater sofa in the living room can be folded out so it can accommodate 2 more persons. 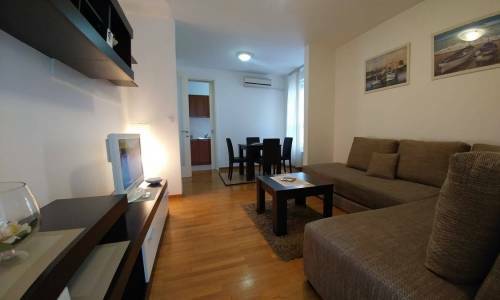 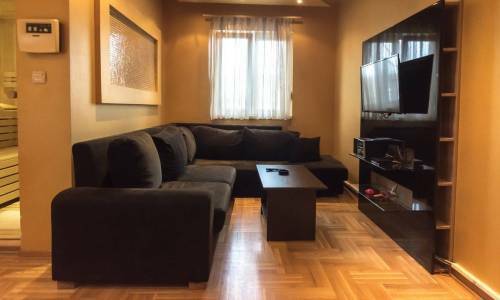 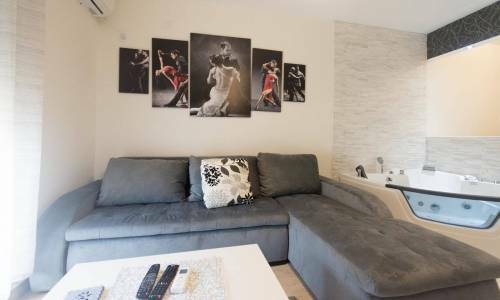 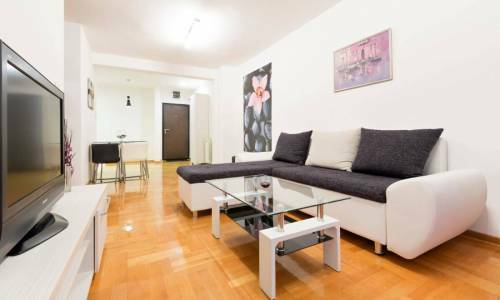 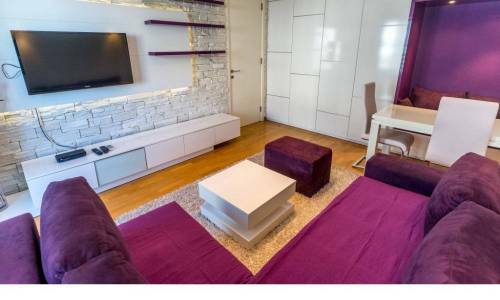 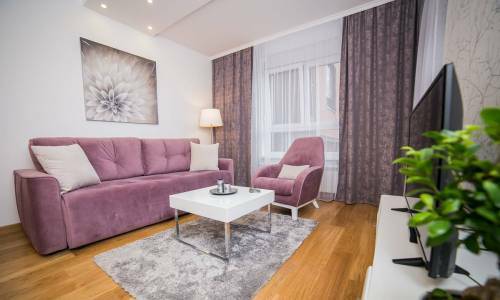 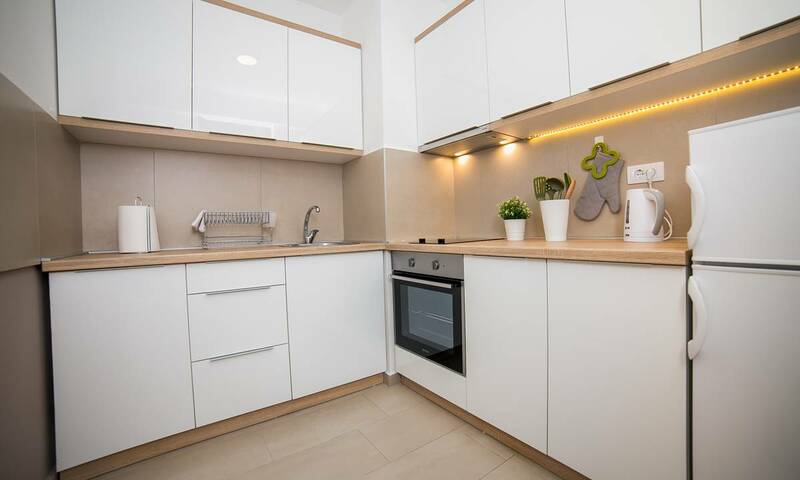 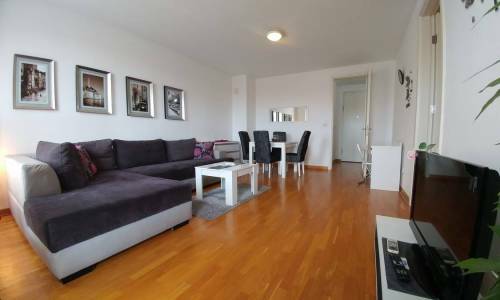 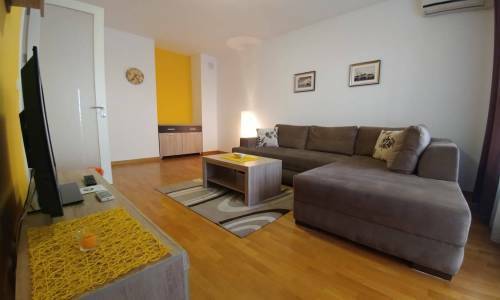 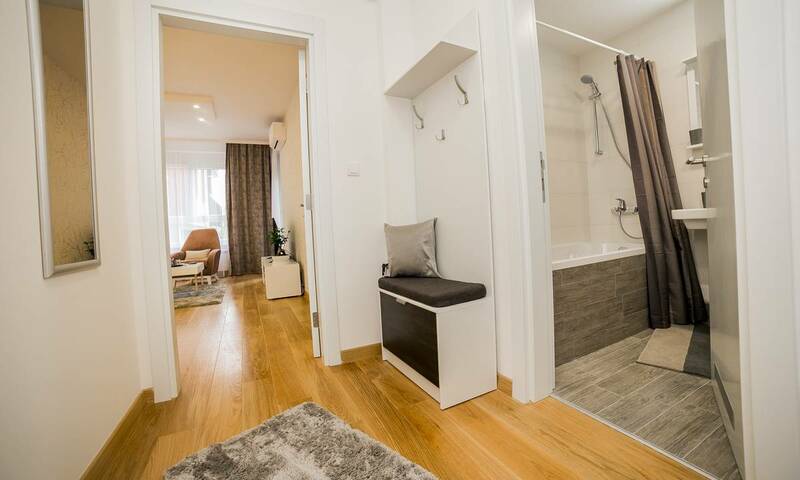 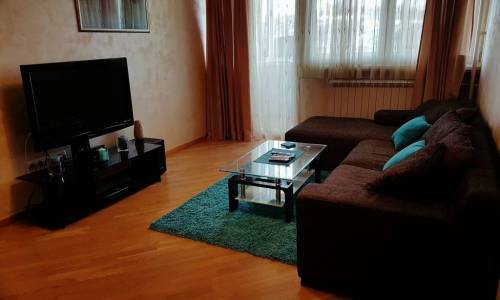 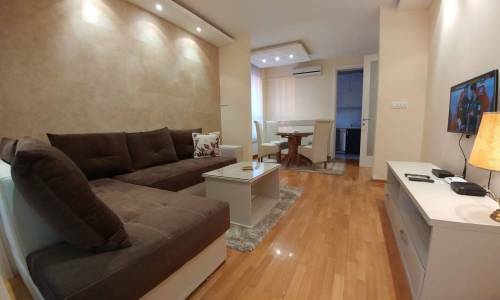 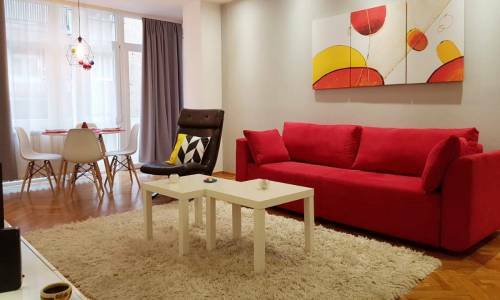 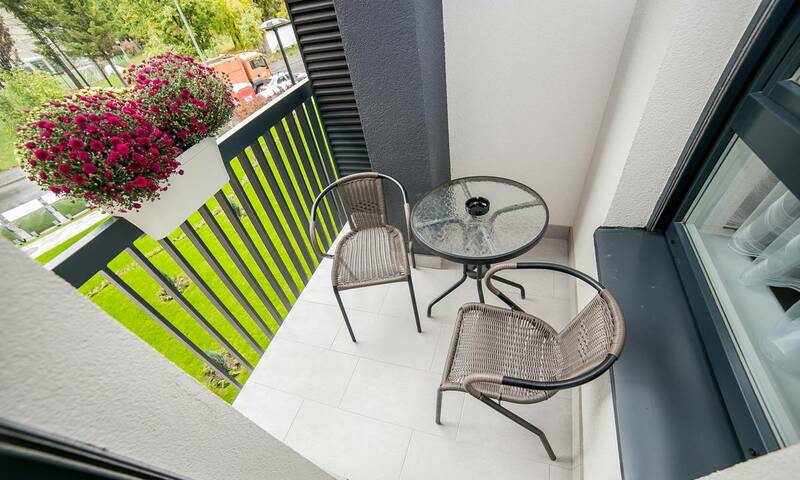 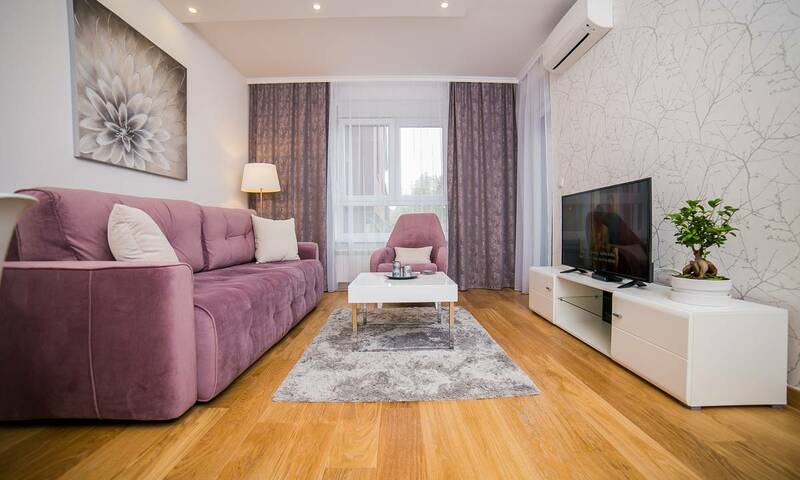 At the moment, Bonsai is indeed one of the most beautiful apartments in New Belgrade and deserves the position at the very first page of our website. 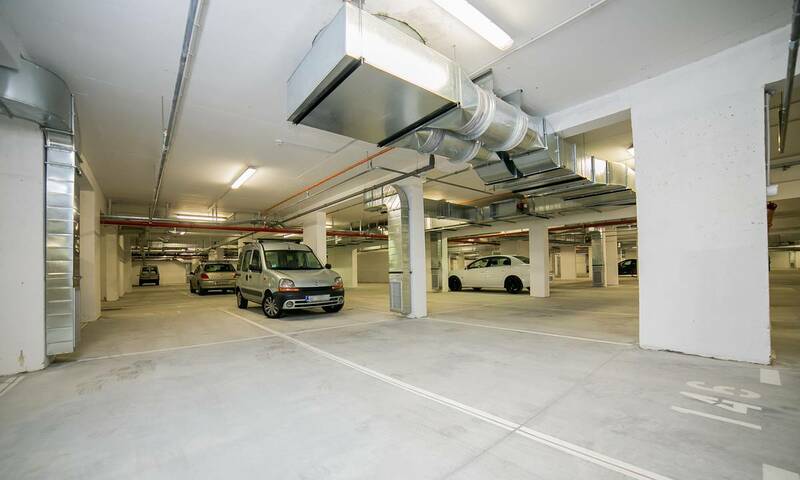 Using the garage inside the building is included in the price.